Helping grow better, bigger, & healthier businesses. At Extra Yarn, I work with companies to identify key challenges and build systems for scalable growth. As one client said, I am an "English-to-English translator", using fresh eyes to guide different perspectives to see common ground solutions to your business's hurdles and tell you the things you need to hear most. Every project is structured differently, from serving as an interim COO to digging in to key data to solve a tightly defined problem in need of an immediate solution. Recently, I have worked with clients to develop pricing strategies, establish new brand messaging, guide high-priority recruiting, validate product direction, create a growth marketing strategy, and build a mobile development team. 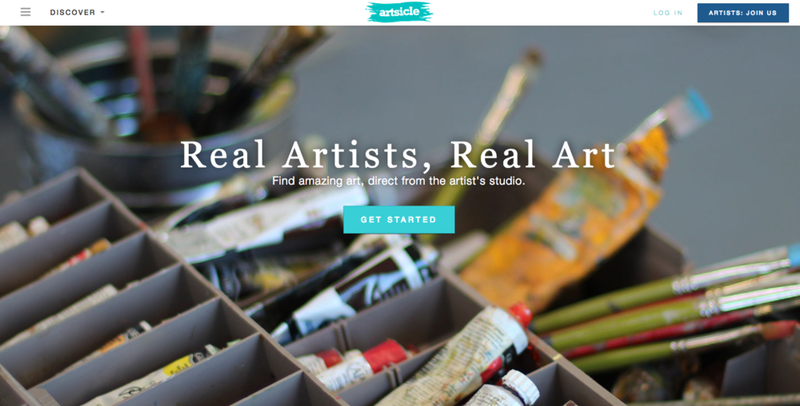 Artsicle is a discovery platform for visual artists, working in your neighborhood and around the world. Currently featuring over 6,000 artists from 100+ countries and 46,000 artworks, Artsicle is the largest active artist directory in the world. I co-founded Artsicle in 2010 as a site to let collectors rent original artwork and help artists create sustainable income from their work. We quickly grew, shipping artwork nationally, reaching ramen profitability, and employing more than 10 wonderful humans. In 2013, Artsicle pivoted to focus on empowering artists to grow their own business. Today, I’m proud to run Artsicle as a non-profit service to the global art community. Artsicle has been named one of the Silicon Alley 100 by Business Insider and called the "Gallerists to the People" by the New York Times. Our discovery engine, which was able to create a personalized experience for passive users, earned NYER's "Best Use of Technology" award in 2013.